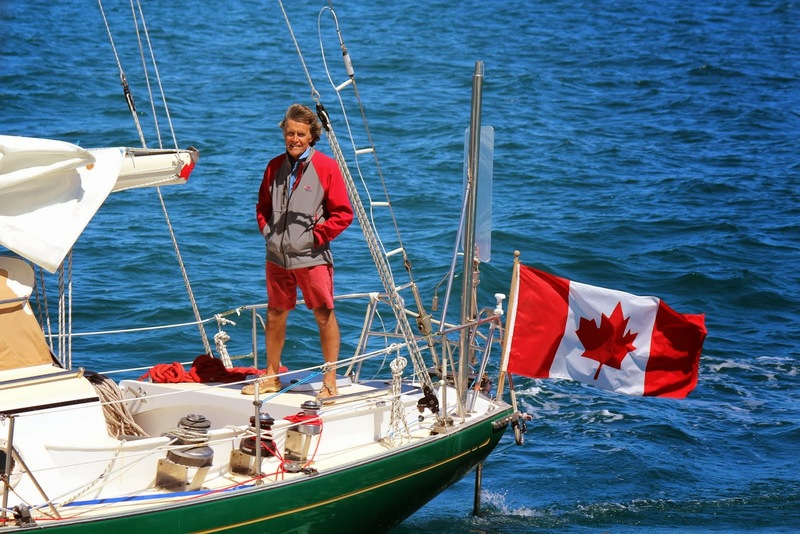 I was very honoured to recently receive the Ocean Cruising Club’s ‘Endurance Award’. 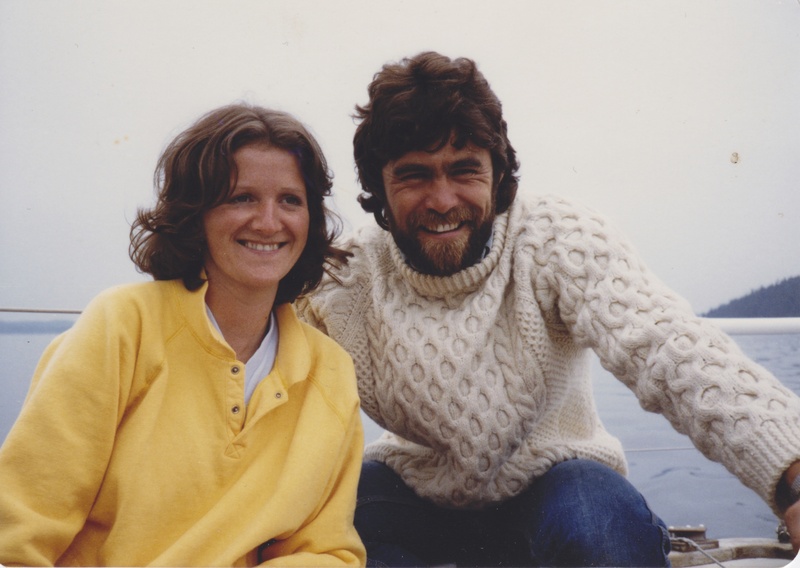 I proudly share this award with my wife MaryLouise who has selflessly supported me through my triumphs and agonies over these many years and nautical miles, and who created this Going Solo blog with my daily reports for the benefit of thousands of sailors and supporters. 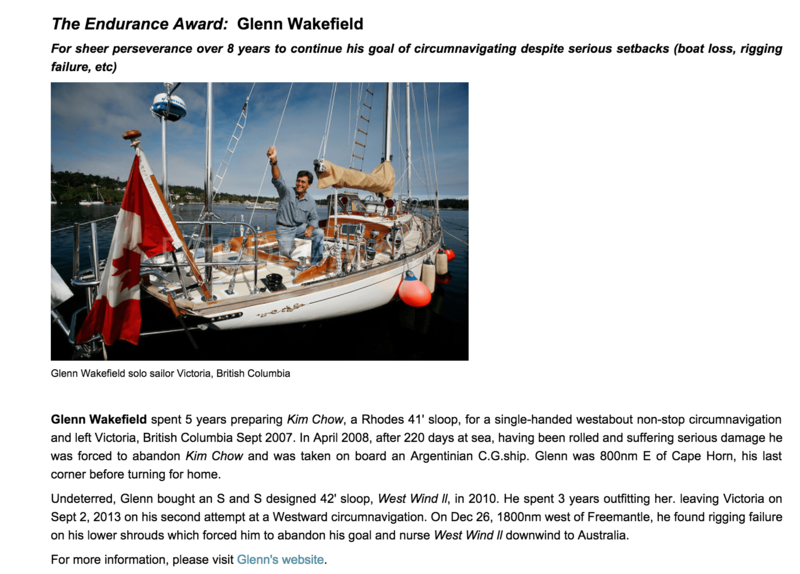 UPDATE: Glenn will receive his award in person from the local chapter of the OCC in Victoria on February 28th. We’ll post photos shortly thereafter. Read the full OCC Media Release. Way to go, Glenn and Mary Lou! Way to go you two! Well deserved. Thank you for the wonderful posts during the adventures! congrats on your award . it’s good to see , a club like that ,keeps an eye , on people doing rather extraordinary things , round the world . cheers!! as ever evans. p s are you still in n.z ? Congratulations, Glen. You’ll be joining a select group of famous sailors. We’re all proud of you. Congratulations Glenn and MaryLou. That is indeed a well deserved honour. Congratulations, Glenn and MaryLou! You certainly deserve the recognition for both momentous voyages! Thank you for letting us come along for the ride a little bit via the blog. So well deserved Glenn. Excellent. Fantastic news…you both deserve it and more! Congratulations to you all for the wonderful award. All the best from the Bacon Family! Congratulations to you both! Well earned! Please let us know where the compass points next!